Making a surprise appearance at Satoru Iwata's keynote earlier today, Reggie revealed that alongside continued DSiWare support and the 3D Classics feature, which will see classics remade with 3D effects, the Virtual Console will not just feature Nintendo systems. Sega's Game Gear and NEC's TurboGrafx-16 will be supported, which means you can expect Sonic and Bonk titles to reappear once more. Keep in mind, however, that these are not really "new" systems when taking the Wii's Virtual Console into account as well — many of the games created for Game Gear were completely identical to Master System games, while the TurboGrafx-16 obviously isn't even a handheld at all, although there was a portable device that allowed you to play TG16 games on the go called the TurboExpress. Aside from the addition of these two systems to the 3DS Virtual Console, no specific games have been announced, so we're not sure if we can expect new Master System/Game Gear and TurboGrafx-16 titles from this, or if Sega and Hudson will simply be moving over games already available on the Wii. We'll bring you any news as it's made available. 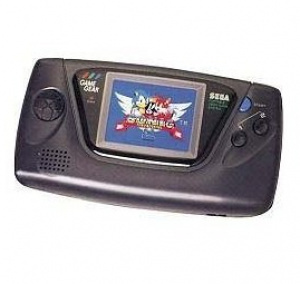 Game Gear games on a screen that doesn't look like it was soaked in Vaseline and ran over by a cargo truck? Sign me up! Hey Sega, I know it's too early to start begging for specific games, but I really want Ristar on here, please. I'd like to request Sonic Triple Trouble, Defenders of Oasis, and Ristar please. GG Aleste 1 and 2 for me, please. And Gunstar Heroes. I don't know how many Game Gear games are going to be released. On this list, out of the 363 games released it appears over half of them are licensed. "Many of the games created for Game Gear were completely identical to Master System games" - asides the smaller screen ratio, which managed to make the first boss of Sonic 1 the easiest challenge in the world, and then the first boss of Sonic 2 the hardest, because you couldn't see the iron balls until they were on top of you. And the rest of the Game Gear Sonic titles ranged from mediocre to sheer dross. Oh very much would like to see Ristar on there! @Raylax Apart from Sonic Triple Trouble, which is ace. Now Nintendo, if you are in a good mood you could allow one to play TG16 games already downloaded on the Wii? Oh don't you hang up on me Mr Iwata! I cannot handle this amount of awesome, it's too much! So... is it going to be TurboGrafx-16 or TurboExpress? The later makes more sense to me. This is awesome news, bring on the Sonic games for the Game Gear! Sonic Triple Trouble, Tails Adventure, and Baku Baku Animal please! Are there any good Game Gear games that don't have superior Genesis/MegaDrive versions that I can't play on Sonic Adventure DX nor Sonic Gems Collection? As for the TG-16, if I wanted any of those, I'd just get them from the Wii's Virtual Console. Always wanted to try the Game Gear. Was hoping for the chance with 3DS, and am going to get it! Will be interesting to see if, in retrospect, shelling out the clams for the system AND a lifetime supply of batteries would've been worth it! Great news. Had a feeling Game Gear would be heading the 3DS way. TurboGrafx as well? WOW!!! Only Game Gear game I liked a LOT was Tails' Adventures. Please release it Nintendo! Great news, both Game Gear and TurboGrafx-16 are very welcome additions to 3DS's Virtual Console in my eyes. I have noticed that TurboGrafx-16 games have continued to appear on iOS after the sad closure of the US offices of Hudson Entertainment, as well as NES Adventure Island II and N64 Bomberman Hero being announced on Wii Virtual Console, so it looks as though we will continue to be treated to Hudson's retro treasures (of course Hudson did not publish every TG-16 game). So this is brilliant news all round... All we need now is for Neo Geo Pocket Color and Game Boy Advance games to be announced, although 'all in good time', with these new handheld additions the 3DS's Virtual Console should have plenty of quality early game choices. I want Shining Force Gaiden II. All of them would be nice, but that would require translating them. Turbo Express support is nice too. Hopefully we'll be seeing Genesis games in the form of the Sega Nomad too. Game Gear games on a decent screen, wow. As for PC Engine GT style play, thats good too! Neat! I have my fingers crossed for the slim chance that the Shining Force Gaiden series will get another chance at life on the 3DS. More systems for VC! Nice! Sonic Triple Trouble and the Neutopia games! @cheetahman91 Oh yeah, I would love some Shining Force Gaiden action! I have the Japanese originals but my Japanese isn't quite as good as it used to be! We'll get 10-15 games and most of them will be Sonic. Soldier Blade on the go would be nice, though. @MickeyMac I'd be happy with that! Oh yeah, SONIC DRIFT 2 and SONIC LABYRINTH please Sega! Give me Game Boy Advance games w/ an import version of MOTHER 3 or give me death! ...Reggie? ...What are you doing in my house? Put down that knife...!! I am not going to get hyped up about the 3DS VC like I did the Wiis. I mean yeah it was great at first but look at it now hardly any releases on the Wii VC and when there is its a mediocre game. Heck if I knew this was going to happen to the Wiis VC I probably wouldnt have bought a Wii. So what Nintendo will do the same with the 3DS now. Shame on you Nintendo pulling this shame twice shame on you. Game Gear was not a surprise at all. TG was just a little bit, because I think Hudson has released TG games for iPhone already. And in the first year they'll add the Lynx, the Neo Geo Pocket, the Neo Geo Pocket Color, the Wonderswan and the Wonderswan Color. Am I missing your favorite Non-Nintendo portable? Great, now I have to wonder if they'll ever make an update where you can transfer tbgx games. I downloaded those more than any others on the Wii VC service. There really needs to be more handheld/console connectivity anyway. @EdEN I will be buzzing if they announce Atari Lynx games for it. Sonic Chaos on the 3DS Virtual Console!! I would love to see those games, too. Hmmm... I have a Game Gear, but the speaker on it is dead. So... I'm in! Might as well re-release Genesis games, since there was a portable Genesis called a Nomad. @Dorkvader I too would like GBA games on that downloading's platform. I never had a Game Gear so this is exciting news that I will finally be able to experience these games on the 3DS. Nice to see TurboGrafx games coming to the 3DS as well but I already own a good amount of them on the Wii. It would be nice if I could transfer them over to my 3DS but somehow I don't see that happening. I hope that we will be seeing Virtual Boy, Game Boy Advance and Neo Geo Pocket games coming to the 3DS too. Hate to spoil the mood in here, but... I've had my fill of Game Gear games since playing a few on Sonic Adventure DX on Gamecube. Thing is, most of them just su– wait, Ristar was on Game Gear, too? Well gee, now I don't really know what to think. At least the battery will last much longer than the original GG. I thought the TurboGrafx-16 was a home console... not a handheld. GG Shinobi II: The Silent Fury: Sequel to the already brilliant GG Shinobi, which tightened the original's gameplay. Gunstar Heroes: Cracking port of the Mega Drive game, considering the 8-bit capabilities of the Game Gear. Streets of Rage 2: SEGA did a fine job on the Master System version of this classic brawler and this Game Gear title is decent too, just don't expect Mega Drive levels of aceness. Wonder Boy: The Dragon's Trap: A direct conversion of the excellent Sega Master System title. I'm getting really excited about the possibilities of 3DS's Virtual Console now. Playing Rondo of Blood and the two Neutopia games on a 3DS would be ace! @RebeccaGunn- Holy crap you're back! WOW hopefull they'll bring GBA at some point in the future. If anyone from atari is reading this could we have lynx games? Still waiting on the Lynx, GBA, Neogeo Pocket, and Wonderswan. Next up NGP, and I don't mean Sony's next gen portable! I'm with Tasuki on getting too hyped up, though. I find it hard to believe that the release schedule will be anything better than painfully slow given how the Wii VC has been going lately, and I think it's better anyway to have low hopes and be pleasantly surprised. @JamieO - I quite liked Dragon's Trap when I first played it. I'd get it again on a portable for sure. I can't Wait to see Sonic blurrrrrrrrrr all over the screen. I loved Sonic for Geamgear but you couldnt even tell what was going on, i think thats why it was so much fun! If the 3DS and Wii VC's are connected like the PS3/PSP PSN unity then I'm interested in getting a 3DS to transfer my games. You heard me Nintendo, make it happen! I bet the service will be slow on the GG but not for the GB. they should release Genesis/MegaDrive games. Heck I still have a Nomad. I'd much rather they stuck to handheld games for the 3DS VC. I really, really don't want to see the releases cluttered with dozens of games already on the Wii VC. Nice. I like the idea of playing GameGear games without actually playing a GameGear. Does anyone know of a reasonable business excuse for not doing GBA games yet? Game Boy would be overlooked? The TG-16 coming to the 3DS shouldn't be shock because the Tg-16 games are available for iphone, IPod, and IPod Touch. The other reason is Turbo Express plays Hu Cards. Turbo Express didn't play CD games. |sf>Crystal Warriors is a proto Pokemon game crossed with Shining Force. You have a chess like board where all the humanoids are one of the four elements: Earth, Fire, Water, Air. Water is strong against fire, but weak against water. Air is strong against water, but weak against fire. Fire is strong against air, but weak against water. Earth is a balanced element and takes no weakness or strength against the other types. Monsters can also appear on the board and you can capture them to use as a tag team substitution for a round in battle. For example, if your player is Air, you can capture a Fire monster and use him to battle in the player's place if the player ends up fighting a Water enemy. The game shouldn't have any licensing problems. There's also Defenders of Oasis, which is a traditional RPG, but it has some really interesting dungeons and some storyline. It's been years since I've played the title, but I recall it had sailing ships and an underground area with sheets of ice where you have to figure out where to slip so that you can reach the chest (ala Pokemon). I also recall Psychic Warriors, which was a platforming game where you played as a girl with many special powers (including healing powers). special edition of Columns and the fantastic Solitaire Poker. As mentioned by someone else, Baku Baku was fun, but that puzzle game was way too easy. You forgot to include Game.com. There was also a Game Gear version of Dynamite Headdy, even though it's not as impressive as its Genesis sibling. @Stuffgamer1: The problem is how can I get hyped with it when I see whats going on with the Wiis VC. Sure I bet there are lot of good game gear games and Turbo Grafx 16 out there but how many are going to make it on the VC due to licensing issues and what not. Yeah you are are hyped about now but in a year or so you are going to be yelling weres this game and how come this game isnt on the VC yet etc. etc. And would it be too much to ask if we can just transfer the TG-16 games we ALREADY have on our Wiis? I would also like to see Neo Geo Pocket and Neo Geo Pocket Colour games on the 3DS Virtual Console. I'm going to go with no. It's definitely too much to ask for Nintendo to offer any sort of conductibility. Still - Game Gear games! How did you know I wanted winsauce with my 3DS Nintendo/Sega?! Yay! They're most likely saving the GBA for last so it doesn't overshadow the other systems. It will be worth the wait, though. Especially to finally be able to get a version of Ninja Five-O! Bonk, Bonk, and more Bonk please =) Sidearms was also a really fun TG16 game. Will be great to see some of my old favs come back to life. Beyond Oasis will be freaking awesome if it makes its way to the virtual console as well.